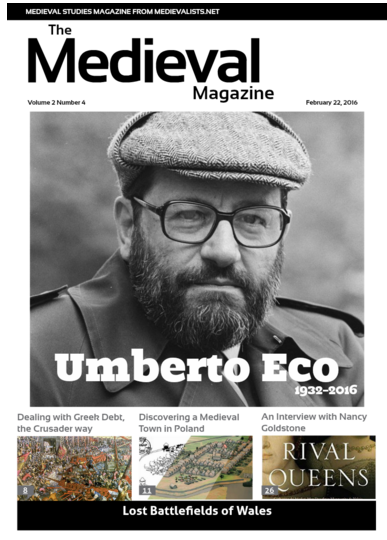 We take a look at the life and legacy of Umberto Eco, who passed away last week. Best known for his novel, The Name of the Rose, Eco made a significant contribution to medieval studies. We also have a report on the discovery of a lost medieval town in Poland, an interview with Nancy Goldstone, and talk about Viking nicknames. How did medieval Europeans deal with Greek debt?